Civic 4D Sedan LXIIHS Top Safety Pick. Scores 39 Highway MPG and 28 City MPG! Carfax One-Owner Vehicle. This Honda Civic Sdn delivers a Gas I4 1.8L/110 engine powering this Automatic transmission. 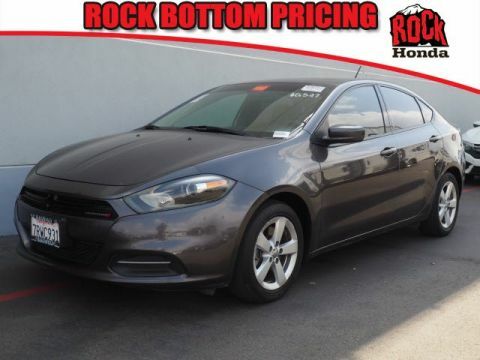 Vehicle Stability Assist (VSA) w/traction control, USB audio interface, Tire pressure monitoring system. * This Honda Civic Sdn Features the Following Options *Tilt/telescoping steering column, Side-impact door beams, Security system, Remote fuel filler door release, Remote entry, Rear window defroster w/timer, Rear seat heater ducts, Pwr windows w/driver auto-up/down, Pwr ventilated front disc/rear drum brakes, Pwr door locks w/auto-lock feature. * This Honda Civic Sdn is a Superstar! *IIHS Top Safety Pick, KBB.com Brand Image Awards. * Expert Reviews! 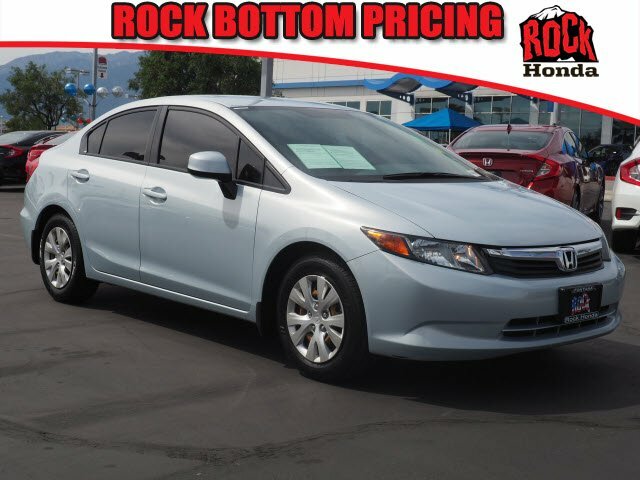 *As reported by KBB.com: If you appreciate mechanical refinement similar to what you might find in a commercial airliner, the 2012 Honda Civic is the clear choice in the category. And even if you don't easily discern such qualities, just-right steering and pedal feel are the kinds of qualities that quietly contribute to long-term driving satisfaction. 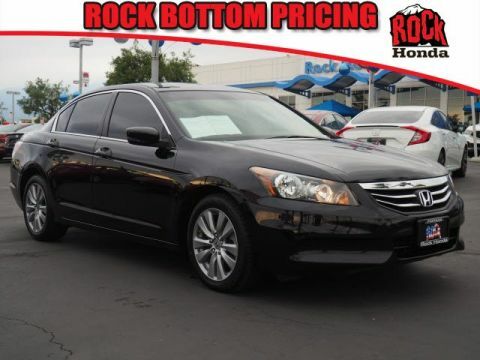 * Visit Us Today *A short visit to Rock Honda located at 16570 Highland Ave, Fontana, CA 92335 can get you a trustworthy Civic Sdn today!